Money is the root of all, well you know the rest. Money and it’s issue are like staring down the barrel of a shotgun, as it’s an extremely emotional topic. One that just a few couples will initially openly discuss and survive. 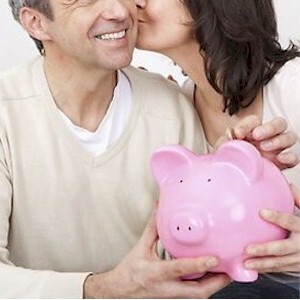 Money issues are thought to be the prime reason which drives new partners apart. For the majority of people, money just isn’t money as in hard currency, but rather a torch which can accelerate ones standing in life. It’s a combination of power, prestige, happiness, control, security, freedom and much more. Money itself is a symbol and to survive a relationship, it reaches far deep into the core of the human psyche. Usually, once money is discussed among couples for the first time, the deepest of emotions and issues usually emerge, which may have been neglected. What this results in is it exposes all money related matters and attitudes, forging a path towards growth and awareness for those who survive. The majority of people emotionally relate to money as they would relate to a real person, which is an open ongoing love affair which tugs at their deepest of emotions. Once two individuals agree to form a relationship, money then also becomes an equal partner as well. In these times of liberation, couples will discuss a lot of issues before marriage, but usually the meaning of what money means to them isn’t one of them. Money still remains a subject of taboo. Quite often, this silence is a shield for the anxiety and the shame which most feel about how they handle or think about money. You just won’t tell someone on a first date that you’re a chronic over spender, or that your in deep debt, or that you’re a millionaire. Most individuals have difficulties on their own when it comes to money. Then once they enter into a relationship, the money matters begin to compound. There are others who don’t have an issue with money by itself, but the troubles begin once they meet someone new. There’s always a polarization regarding money when it comes to couples. Partners will always automatically tend to assume defensive posturing, in relation to money which can be direct opposites of each other. The theory being that if opposites fail to attract right off the bat, then they’ll eventually create each other. Most often, a chronic spender will marry a hoarder, etc. What we live in is a market economy where we’re conditioned to think that going out and then spending is a good thing. And because of spiritual alienation or community breakdown, we feel a certain emptiness that we’ll try to fill from buying things. If we don’t overspend, then we’re either worrying about it, or hoarding it compulsively. When we’re growing up, the typical family also usually never talks about money. While some will say “That’s not true,” our family always talked about money. The only instance is when the father is always worried about not having enough money, then always yelling at mom because she spends too much. The fact remains that most don’t grow up with the proper education or get the philosophic conversations regarding what money is, and what it isn’t. What’s not addressed are the messages from society telling us that gratification lies in spending. When growing up, because of the money based discussions that are lacking, it goes to the point that once we reach adulthood, we have no idea how much money the family is worth financially. There’s a story, perhaps an urban myth about a man who didn’t know that he grew up in a family that was wealthy. He said that they owned a restaurant chain, but his mom was always worried that they were doomed, going bankrupt. He as a child as a result began to stutter from all of the anxiety. Growing up as a teen, he worked endlessly to help keep the restaurant afloat. Then decades later, his mom began talking about the “good old days” when they were making a lot of money from the restaurant business. That’s about the time he began to yell about all of the money anxiety which he experienced. There was genuine outrage based on a real fear. But then suddenly, his stuttering was gone since he realized they were rich. Money issues will rarely manifest themselves openly when it comes to relationships. Instead, couples will rather fight over what money represents. While money issues can appear at anytime, there’s a specific transition period which forces these issues to the surface. These periods include when they discuss starting a family, or buying their first home or a car. The couples will usually complain that they can’t agree on where they want to live, or one partner wants to go on an extended vacation, while the other wants to save for retirement. As well as the different money personalities, there’s also the male and female differences when it comes to their approaches to money which splits a lot of relationships apart. Traditionally, long ago, men were the hunters, the breadwinner, and women were the gatherers. Today, men when it comes to say a pair of shoes will usually wear them until the soles fall off, until they consider buying a new pair. Women in contrast since they are known to “gather,” they’ll shop for someones birthday 6 months in advance, and then store it away somewhere. Men are usually raised to behave in a hierarchical world that’s competitive. They’re constantly in an “I win, you lose” scenario. Most women however will see the world as more democratic and cooperative. Women would rather prefer to share, and help out those who appear needy or vulnerable, while men are usually discouraged or embarrassed from such display. As a result, the attitudes of money between couples are completely different.